Guardian roofing is a local, family-owned company. We don’t just work on roofs, we believe in building relationships. We consider our customers family. Guardian roofing is big enough to handle any job, yet small enough to respond quickly to your needs. We’re at that size where the owner is involved with every roofing job—and we plan to stay that way. My life in the home improvement world began growing up with a family of roofing contractors. During high school and college, I worked at the family business. After earning a degree in business administration, I devoted a full-time career to the family roofing business. I spent the early years working on roofing crews, customer reception and production. I the earned the position of office manager and went on to become the vice president of one of the largest roofing companies in the area. At the same time, I also served on the board of directors of the roofing contractors association. 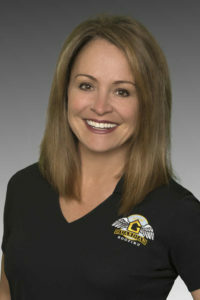 My passion for the roofing industry and the opportunity to serve a wonderful community led me to the formation of guardian roofing with my husband matt. Following in my dad’s footsteps, we teach our team to be customer service focused and how to get every detail done the right way because there is nothing more important than getting it right. We believe you deserve the best. You can expect one-on-one service that fits your schedule from the guardian roofing team. You can count on expect professionalism, competency and a warranty you can trust. Dad never wanted me to go into the family business. He had a very successful roofing company in the Tacoma area and could fix almost anything. Customers would call in at all hours with emergencies. Leaking roofs, missing shingles, detached gutters, you name it! While growing up, I worked in dad’s business, but he always discouraged me from making it my career. I love the roofing business and decided to do what he did! Hundreds of customers share their stories of dad going above and beyond saving them from emergencies. Our entire team works hard to follow in my father’s footsteps, always there for our customers doing the best we can for them. I teach my team at guarding roofing, that what your doing is heroic, can be heroic and should be heroic, if you do it right… and at guardian roofing nothing is more important than doing it right. Although my father is no longer with us, I know he is proud that we have taken guardian roofing beyond our expectations. The basic core fundamental business philosophies he instilled in us are still the driving force in our business today. We attribute our success and longevity to these simple philosophies; take care of your customers and your employees and your business will take care of you. You know we still pride ourselves on taking care of our customers and our employees today. It remains the cornerstone of all our achievements. In the years to come we will continue to grow and thrive because of this thinking”. We love what we do at guardian roofing. We are not just repairing and replacing the roof, we are taking care of your family and home. You aren’t just hiring another roofing company you are partnering with us. At guardian roofing we don’t just speak roof we speak human. We do things right, we don’t cut corners, contact us and you will see, the customer experience with guardian roofing is second to none, it is what was instilled in me by my father from day one.